A RESERVE PREMIERS: Panthers’ Tyler Ambrose-Pearce (back left), Kurt Rodis, Riley Thomson, Dylan Andrae, Lawrence Bradley-Brown (front left) and Scott Brooksby claimed a convincing win in the men’s A Reserve grand final. 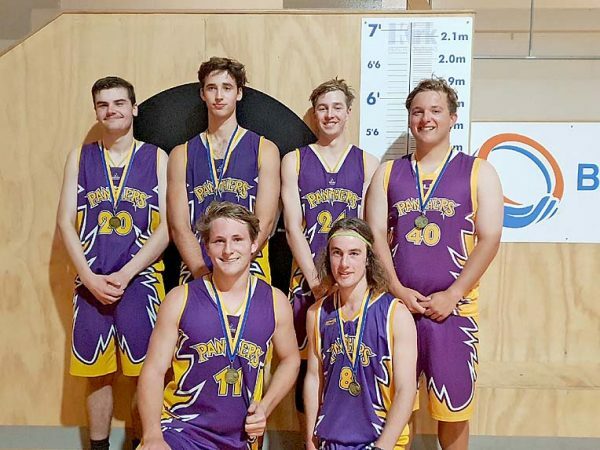 THE summer basketball season finished on a high once again, as the Mount Gambier and District Basketball League grand finals were played across all grades recently. All teams battled it out on the court with players showcasing their talent and competitive streak.